Worcester – Roger F. Archambault, 78, died peacefully at his daughter’s home after a long illness. Born in Worcester, Roger was the son of Francis Archambault and Anne Andrews. Being predeceased by his wife of 27 years, the late Shirley F. (Sampson) Archambault in 1992; he leaves behind three daughters whom he loved very much: Sharon Korowski and her husband Andrew of Nashua, NH, Doreen Setaro and her husband Robert of Worcester, and Maureen Archambault of Port Charlotte, Florida; he also leaves his grandson Sean Keene of Worcester; his brother: Paul Archambault and his wife Jane of Worcester; he also leaves several nieces and nephews. Roger was predeceased by his brother Robert Archambault and his sister Joyce Sampson. Roger was a very giving man and thought nothing of giving money or a helping hand to people in need; he had a great personality which demanded the attention of most , with his brusque and witty sense of humor, sometimes shocking with things that came out of his mouth; he certainly was one of a kind. Roger was a guy’s guy who worked hard his entire life to provide for his family; his physically demanding job was his identity. When Roger was no longer able to work, due to his illness, it was difficult for him to cope; he was a self-employed roofer and carpenter for 50 years at Eureka Roofing, Inc. When he wasn’t working, Roger building things and working on cars; he also enjoyed watching sports and spending time with his family. Roger served honorably as a member of the United States Marine Corps, after leaving the military, Roger learned the skill of hard work, by working side by side with his father. Roger was a faithful Catholic and devout member of Our Lady of the Angels Church for many years, until his illness prevented him from attending Mass. 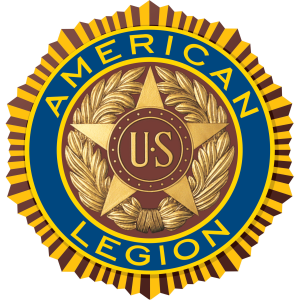 Roger was also a member of the Main South American Legion Post for decades; he will be truly missed, as they do not make men like Roger anymore; he was a blue collar worker, through and through, his doctor described him as “old fashioned” and “stubborn” in his thinking. Working hard, he was proud to have grown up in the 50’s and provided well for his family. Roger’s motto was to have a military mind and to “never give up”, and he practiced that up until the day he passed. Private funeral arrangements have been entrusted to the Graham, Putnam & Mahoney Funeral Parlors.